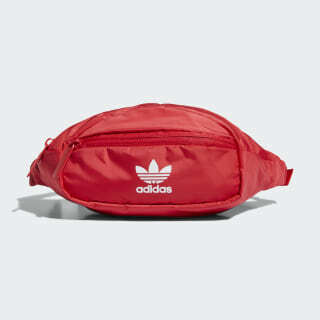 A bum bag with Trefoil style. 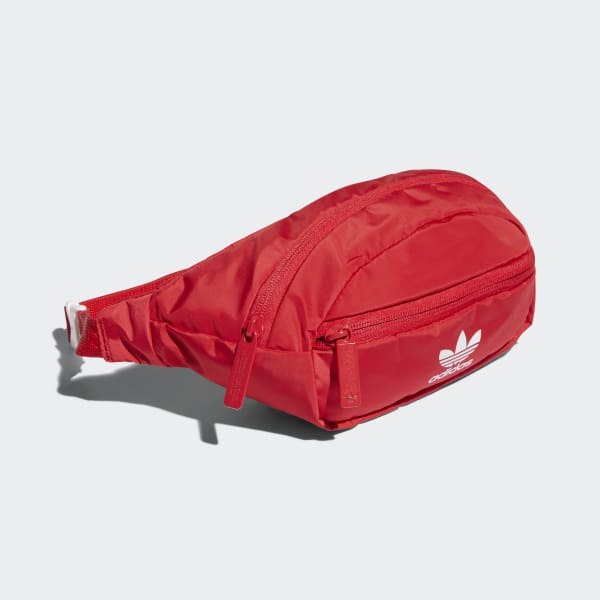 This handy waist pack holds your small stuff when you're on the go. It features two zip compartments. The adjustable clip-lock strap allows you to customize the fit. Dimensions: 11.5" x 3.5" x 4.5"